Charles and Isabella Peacock, original owners of the Bay View House, closed the Grove's first hotel in 1902 due to Charles' poor health Ralph Munroe opened Camp Biscayne soon after to offer an alternative to Grove visitors. Pleasant climate, boating and fishing were noteworthy features of the Bay area. 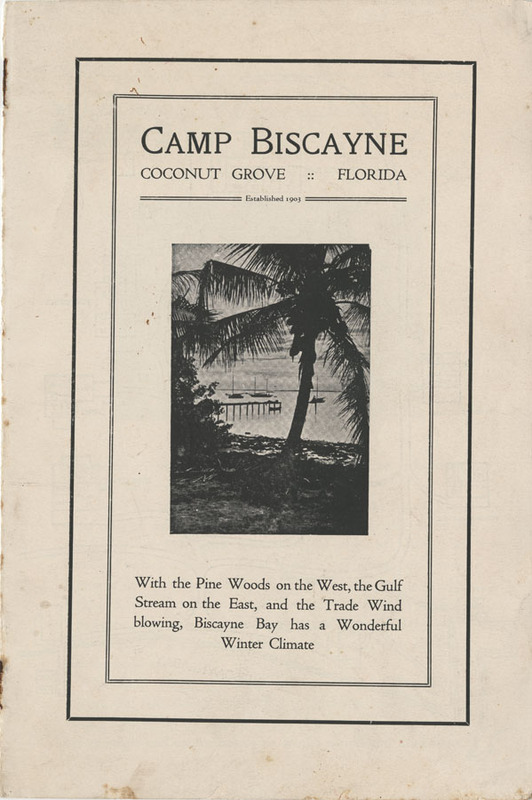 Guests were housed in cottages whose names were inspired by native Florida trees such as "Poinciana," "Oleander" or "Banyan." 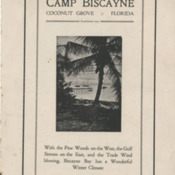 “Camp Biscayne Vacations in Coconut Grove [page 1],” UM Libraries Digital Exhibits, accessed April 23, 2019, http://scholar.library.miami.edu/digital/items/show/322.